'Simple and delicious': my favourite description for food. 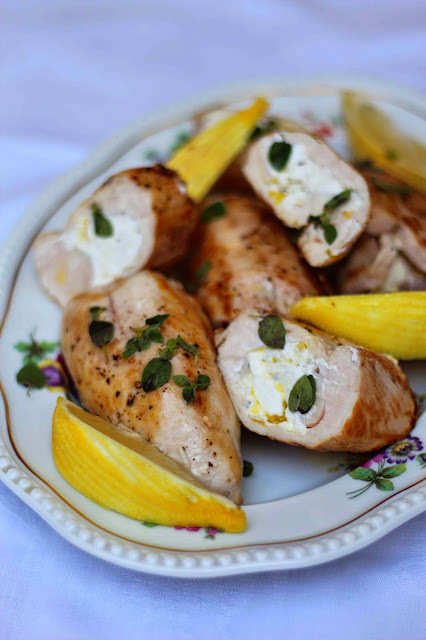 Chicken breasts tend to be on the dry side so stuffing them with cheese, especially ricotta or feta, will keep them succulent and tender. 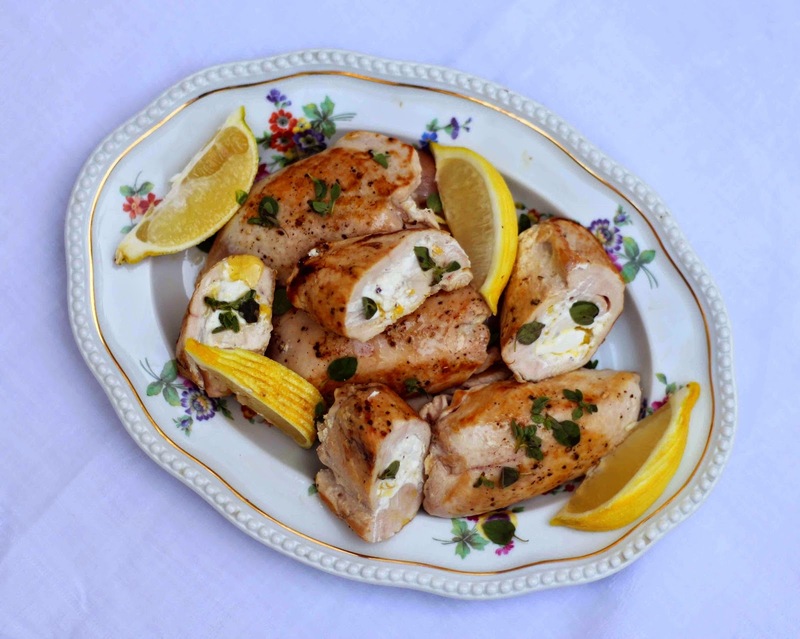 Lemon and chicken are also best friends so you're always going to win when you pair the two of them together. Mix together the cheese, lemon rind, lemon juice, pinch of salt and a good grinding of pepper. Place a tablespoon of the cheese mixture into the centre of each breast and roll the sides over to seal. 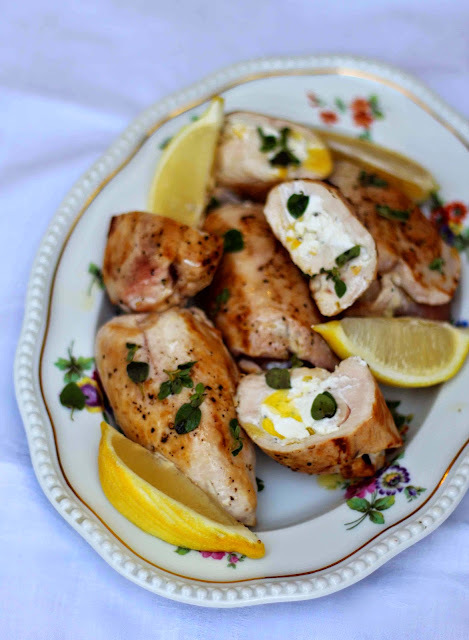 Season and then brown the stuffed chicken breasts in a frying pan with a little oil, turning them gently so as not to let them open, then lay them into a baking dish. Bake them for 18-25 minutes depending on the size. For small 18 minutes, for larger 25 minutes. Cover with foil and allow to rest for 5 minutes before serving.